The recent visit by the CEO of GWI Dr Van West-Charles in Berbice to resolve issues that are confronting Berbicians can be considered a propaganda stunt to defend himself and GWI. I am still trying to understand the reasons why the CEO came to Berbice to host a press conference to address issues which are still not resolved. The location of the press conference and the refusal to visit the affected areas is a reflection that the political alignment of the CEO influences him to make those decisions. The exorbitant bill increases, the quality of water, the unavailability of water in various areas for weeks, the promise of the CEO to disregard payments on water meters until quality water is been provided, the continuous damaging of public infrastructure eg road, streets, etc, the refusal of GWI officials to treat customers with respect, was not addressed by the CEO. The issues were disregarded and blame was transferred to other agencies. The increase rates by the Public Utilities Commission without looking at the quality of water is very much disrespectful to the Guyanese people. The Public Utilities Commission is a definite failure in its mandate to ensure that Guyanese are protected from utility companies. 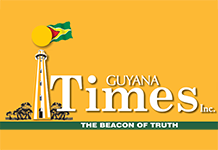 GT&T, GPL and the GWI are operating in blatant disregard for the quality of services it provides but ensures that the financial obligations by customers are being justified. It is factual that customers pay for quality and efficient services but receive the worst and inefficient services by these utility companies. The APNU/AFC coalition Government Ministers continue to support party activists, friends, families, and rogue Government officials in very important positions. The Health Services in Region Six continue to be plagued by this disease resulting in loss of lives and denying people the rights to efficient services. Ministers and Government officials only waste taxpayers’ money to visit and make commitments but as customary, as they leave, the promises evaporate. The recent refusal to remove the CEO of the New Amsterdam Public Hospital as was agreed and promised by Government officials is the trademark of this APNU/AFC coalition Government, where incompetence, mismanagement and cronyism prevail over the people. The Residents of Region Six continue to suffer under the APNU/AFC coalition Government because of Corruption, Incompetence, Mismanagement and Cronyism. God help Berbice.